Portable Sink Rinser & Showerhead Only $10 Shipped! You are here: Home / Great Deals / Portable Sink Rinser & Showerhead Only $10 Shipped! What a great idea to help get baby clean! The Portable Sink Rinser & Showerhead is Only $8 plus $2 Shipping! 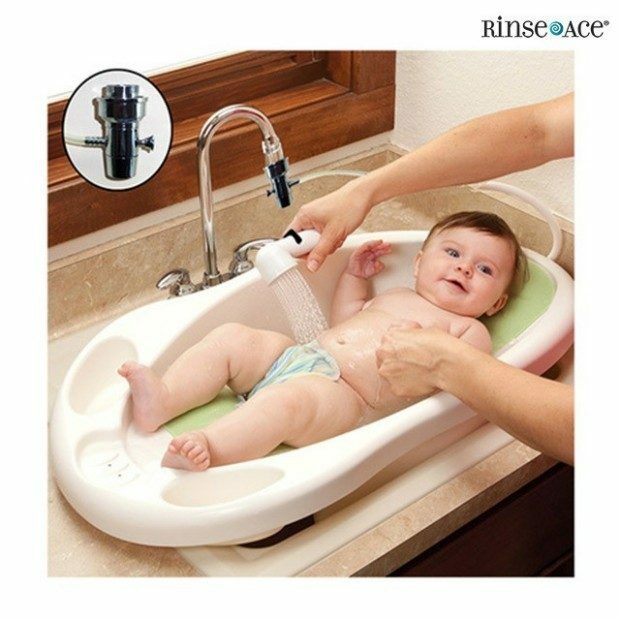 Make bath time easier for all parties with this sink hose and shower head especially designed with baby in mind! It has a variable flow control for customizable water pressure!